About: The Beat Nest is a bird’s nest evolved into higher dimensions. It’s geometric shape, hypnotic weaving patterns, and tree-house perch-ability have made it an eye catching and iconic stage. The Beat Nest has been the integral stage component of Lightning in a Bottle’s beloved Woogie Stage the last 3 years. 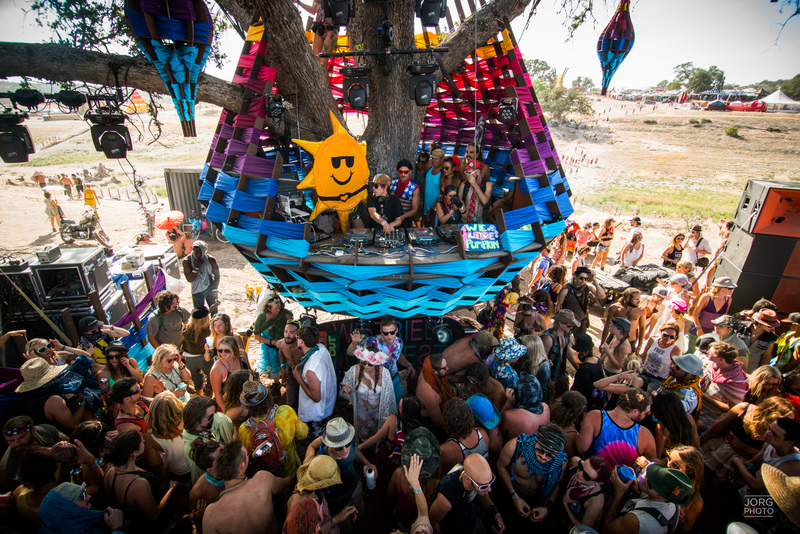 One of a kind, this playfully unique stage is built into a sturdy tree each year to provide a multi-leveled and unforgettable music experience.